When you are designing a website for the World Wide Web, you would definitely want your visitors to spend time on your website. No web portal is successful if the bounce rate is high. As long as more visitors are landing on your web space and spending a considerable amount of time, it makes you grow. Having a visual sitemap installed with your website ensures that you get to organize the architecture of your website in a systematic manner. An organized architecture ensures that the visitor is well-informed about the navigation path. You can always enjoy the process of making the visitors stay and keeping them glued to your website because they find surfing comfort like never before. Visual sitemaps are making their way to all types of websites, no matter small individual blogs or huge portals. The website owners have understood the significance of website designs that have integrated sitemaps installed with them. These sitemaps are loaded with multiple interlinking and ensure that the users get to reach the desired page of your website without any hassle. The plain sitemaps, built over HTML used to very basic and didn’t have any visual element in them. With development in sitemap techniques, people now get to see easy to install and smartly designed visual sitemaps. There are dedicated visua sitemap generator software, helping the World Wide Web to have highly interactive and attractive websites. Visual sitemaps are available in both HTML and XML format. The web designer and developers need not to have knowledge about complex programming language as the site map generator software has built in system to create sitemap with you. In fact, you get free plugins for Google Analytics, which help you to get added benefits for your search engine optimization endeavors. It is assured by the experts that websites with excellent sitemaps installed to them have better ranking in the search engine result pages. The indexing of such websites in SERPs is easier as compare to the websites, which do not have any concept of sitemaps. The visual aesthetics added to modern day sitemaps are quite interesting. They are precious enough to add up to your website’s look and appeal. You can easily engage the visitors and make them be interested in exploring more about your life. Intelligent features are introduced with the sitemap generators to reciprocate to your requirements in exciting and brilliant manner. To meet the highest standards of web presence, you need to follow the latest trends. If you lag behind at any level, you end up standing in the crowd, where no one notices your website. This is the reason that elements like visual sitemaps, which make your website stand out, receive higher importance at this front. This is the reason that even if you have a domain hosted independently or a sub domain hosted on some other platform, you should go for visually attractive sitemaps, which are absolutely correct in terms of search engine optimization trends. Now, once you have understood the significance of visual sitemaps for your website, blog, portal or any other shared web space, it is required to understand the credible platform, which would help you to build the best possible sitemap for your website. There are various types of software available on the web, offering visual sitemap generation and installation to your website seamlessly. The search for the best one out of these is the challenge. But, there are certain names, which have made their presence felt due to excellent features. This type of site map generators is recommended by the users and experts on major scale. DYNO Mapper is one such name to mention here. 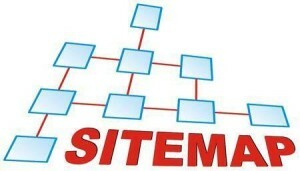 It is one of the highly recommended tools for visual sitemap generation over the web for websites, blogs and portals. It has several interesting key features, which set it apart from the clutter of other options. As you begin to read about these sitemap generator options, you can simply find out that there are various options but the highly recommended ones are worth choosing. DYNO Mapper is visual sitemap generator with value added benefits such as free Google analytics plugin. It helps you to have complete SEO support along with the idea of making your website look attractive and appealing to the visitor. The visual sitemap generated with the help of this app will not only guide the visitor to the easy navigation, but will also ensure that bots of the search engine index your website, cache its pages and help it in ranking on the top of the search engine result pages. Support in installation process is required only when there is some error persisting. Otherwise the installation of the visual sitemap via this tool is very handy. Even the first time user can do it by following the simple instruction. The step by step process is easy to handle and suitable instructions are given. This saves efforts of the installer and you need not to have knowledge of XML or HTML coding. The process is quite automatic and empowers you to have sitemap added to your website before you know it. The idea of manual sitemap generation is impractical, especially in the modern times, where each web portal or website has multiple categories and pages. Hence, the suggestion is to install an engaging visual sitemap to your website. It keeps your website updated with the latest search engine optimization practices and opens the doors for immense level of success in the current scenario of World Wide Web.Thinking in a visionary fashion and planning ahead of time is something, which you need to keep in mind to stay ahead of the competition in the internet world.